Cataclysmic events led to both the eventual boom and then bust of dinosaurs. 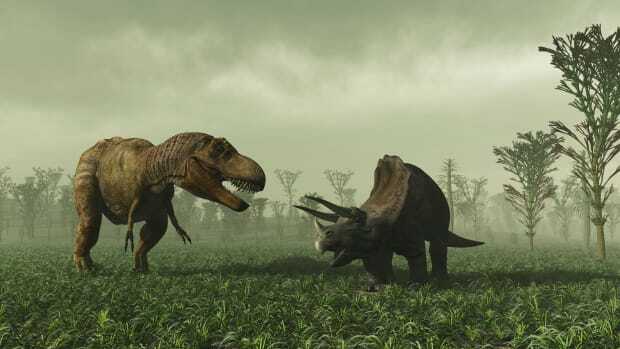 Most people know about the theory that a giant asteroid contributed to killing off the dinosaurs some 66 million years ago, but perhaps less well known is that an earlier mass extinction event helped to give rise to the reign of dinosaurs. 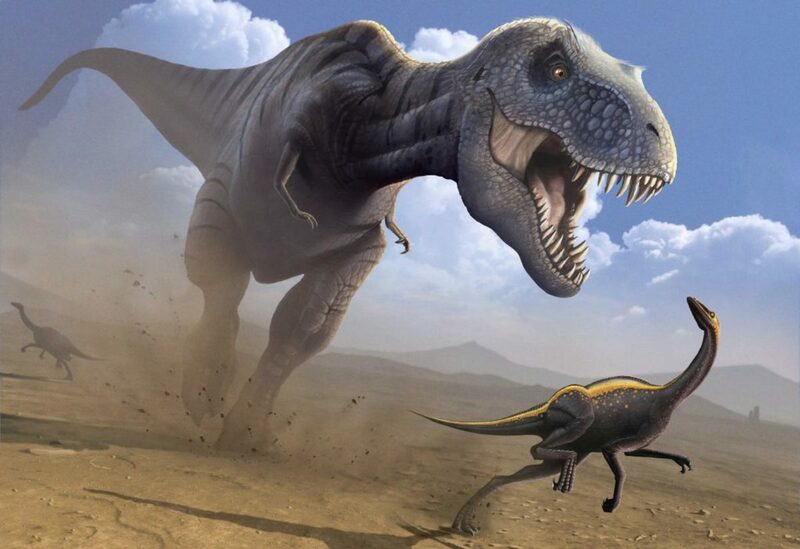 A new study, published in the journal Proceedings of the Royal Society B, focuses on dinosaurs’ better days when their strong and scrappy reptilian ancestors not only survived a mass extinction 252.2 million years ago, but they also then thrived. 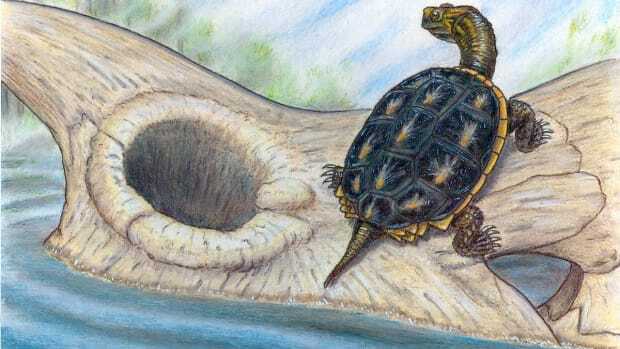 The Permo-Triassic mass extinction wiped out up to 70 percent of all land animals and 96 percent of all marine species during what was, for most, a bleak time. It’s believed that the die-off began after volcanic activity released massive amounts of carbon dioxide and other greenhouse gases into the atmosphere, according to paleontologist Martín Ezcurra. “These produced a breakdown of the ocean-atmosphere equilibrium, leading to oceanic anoxia [deficiency of oxygen] and rapid climate change,” says Ezcurra, a researcher at the University of Birmingham and the Bernardino Rivadavia Argentine Natural Science Museum in Buenos Aires. He is the lead author of the new study, which was co-authored by his colleague, Richard Butler. The deadly domino effect decimated the then-dominant species that on land were mammal-like reptiles called therapsids and, in the seas, included gigantic flesh-eating, fish-resembling animals known as placoderms. 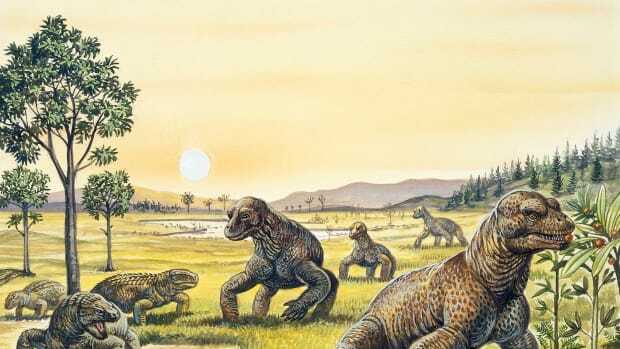 But the reptile ancestors of crocodiles, dinosaurs and birds—the archosauromorphs—remained relatively unscathed. 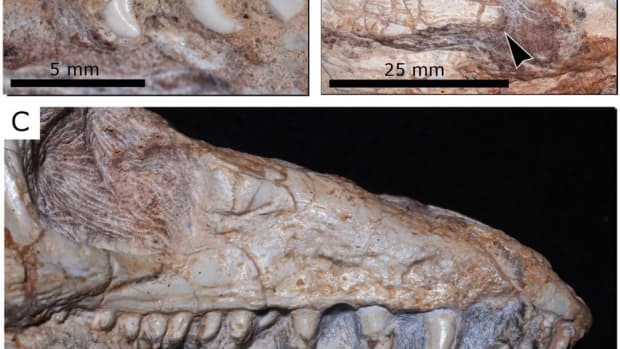 These were tough-skinned animals in every respect that were already widespread in the years leading up to the Permo-Triassic mass extinction. 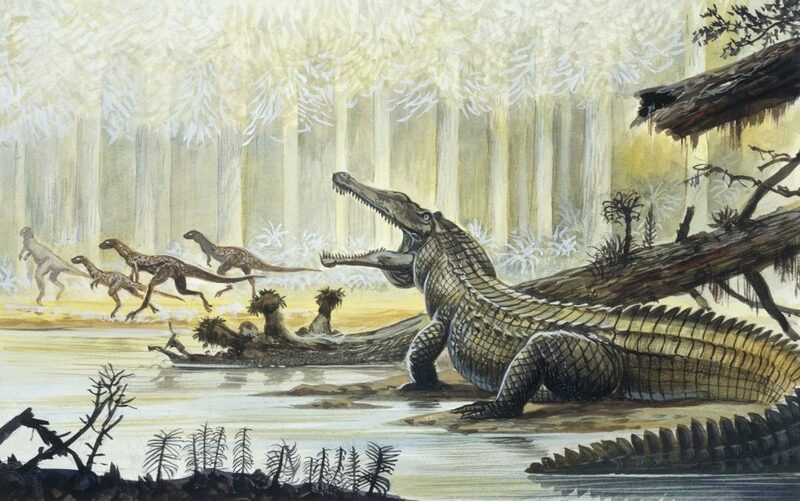 After the volcanic dust had settled, two groups of animals were still standing strong: proterosuchids—archosauromorph reptiles distantly related to crocodiles and dinosaurs—and dicynodonts—distant relatives of the mammals. With so many other animals erased from the planet, these survivors suddenly found themselves with a lot of open, unclaimed territory, fueling an increase in their rate of evolution. Shortly after this tumultuous period, the first dinosaurs emerged. 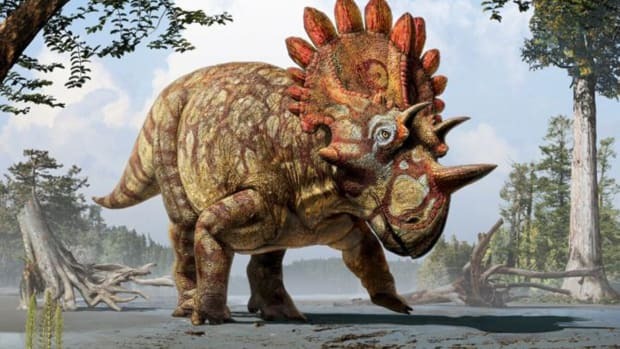 The oldest dinosaur fossils date to 233 million years ago, but these animals likely first evolved around 245 million years ago, according to the researchers. The reptilian ancestors of dinosaurs had set the stage nicely for dinosaur dominance, since they were already well distributed globally. Once dinosaurs first evolved, they rapidly spread to every continent. 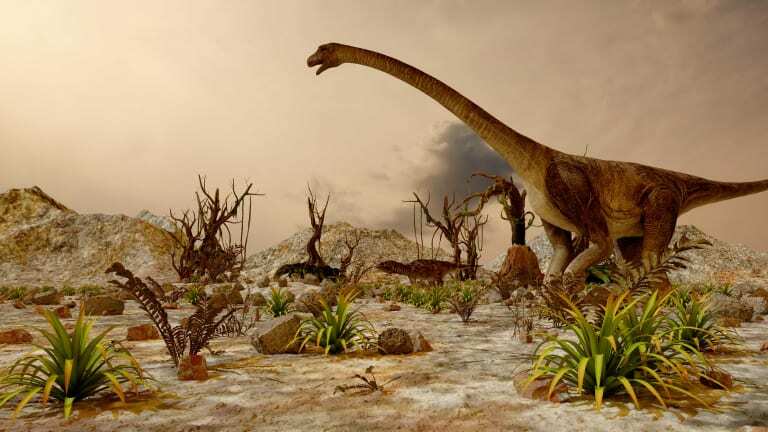 As ecosystems stabilized, dinosaurs settled into their niches. This included evolving many traits suited for particular environments. Tyrannosaurus rex, for example, evolved strong legs that allowed it to run through forested river valleys in search of prey. Sauropods, meanwhile, evolved long necks for reaching high vegetation. For a good stint—about 130 million years—dinosaurs dominated the planet … until the fateful asteroid mass extinction event 66 million years ago. 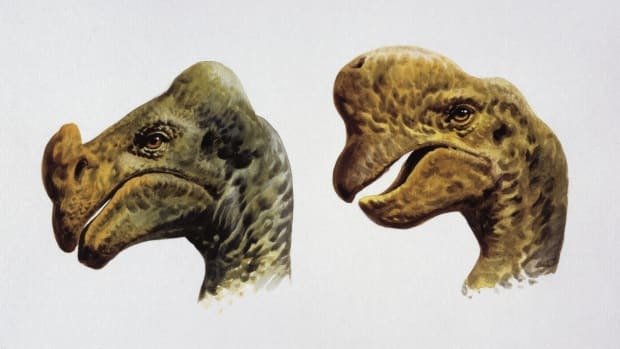 This time dinosaurs, except for those that had evolved into birds, were obliterated. Most of the big crocodiles died out as well. Ruling species, Ezcurra explains, tend to have a long evolutionary history. As a consequence, they become very well adapted to life in relatively stable environments, but this also means that they can lose the ability to evolve in response to rapid changes. With dinosaurs now long gone, humans are in the top spot among larger-sized animals. Dinosaur history indicates how vulnerable this position can be. Technology may aid human survival, but research shows a mass extinction event among other animals is now underway due to habitat destruction, overhunting, climate change and other factors. A 2017 study found that nearly half of the 177 mammal species surveyed lost more than 80 percent of their distribution between 1900 and 2015.